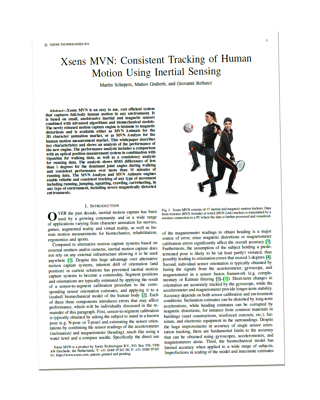 Xsens MVN: Consistent Tracking of Human Motion Using Inertial Sensing. This whitepaper describes key characteristics and shows an analysis of the performance of the new engine. The performance analysis includes a comparison with an optical position measurement system in combination with OpenSim for walking data, as well as a consistency analysis for running data.